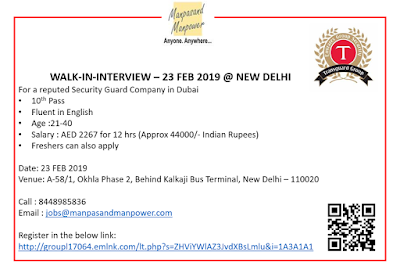 Manpasand Manpower will hold the walk-in interviews for security guards for UAE from 14-Feb-2019 to 16-Feb-2019 at Block A58/1, Okhla Industrial Area Phase 2- New Delhi-110020. The job is for semi-government, British managed company. Granite is a popular stone used for driveways. Being exposed to natural weather, dirt, dust, cars, movement of people and objects the granite in the driveway begins to look dull after some time. While daily cleaning is essential, we recommend a professional deep cleaning at least once in six months. A specialized cleaning will involve a suitable granite cleaner, pressure jet and hard/soft bristled brush with a single disc machine. In addition, we suggest an appropriate stone sealer is used once a year to protect the surface and restore its color. If you are looking for a professional team to clean your granite driveway, contact Cleansweep. Cleansweep provides deep cleaning services for homes and offices and specializes in floor care services. Call 97177 19303. or visit www.groupl.in for more details. How clean are your public bathrooms - Do they just look clean or are they really clean—deep down? Does your staff really know how to handle the need to get rid of the down and dirty? According to a recent survey, many public toilets are not as clean as they should be. Restroom maintenance is an important daily task with which most facility management professionals are familiar since restrooms are a frequently used area in any facility and their upkeep can affect public perceptions. But in the survey, conducted by ISSA and Clorox Professional Products Co., it’s difficult for some managers to uncover what it takes to keep this critical area in top shape. When it comes to public restrooms, there are two important jobs: cleaning for appearance and cleaning for health. Maintaining a visibly clean restroom is important for influencing consumer perception. At the same time, washrooms must be disinfected to kill harmful microorganisms, such as Shigella, Salmonella, Hepatitis A, E. Coli, and Norovirus, which are routinely found in restrooms and are associated with outbreaks of illness. Keeping a restroom disinfected can help prevent the spread of illness-causing germs to building occupants and the community at-large, especially during the winter months. According to survey results, most professionals (85%) are fully aware of the importance of this dual relationship of cleaning for appearance and health. The vast majority (95%) also believe that restroom cleaning has an impact on overall public health by helping to prevent the spread of disease. However, this understanding may not trickle down to all employees; only one-half of respondents (49%) believe their staff is aware of all the risk associated with the spread of germs in the restroom. One in five respondents (20%) believe the general public may think their facility’s restrooms harbor germs. Many facility professionals believe that restroom handles harbor the most illness-causing germs and bacteria, particularly restroom door handles (65%), faucet handles (38%), and toilet or urinal handles (36%). However, secondary research shows that this is false and that door handles pose the least risk for germs. The feminine hygiene trash can, which only 12% of professionals believe to be germy, has one of the highest concentrations of germs. Only 29% of supervisors reported instructing their staff to disinfect surfaces most often. Keeping on top of restroom cleaning needs can be demanding, and although only 15% of respondents report a lack of education or training as a challenge to performing optimal restroom cleaning, far more (68%) say their staff does not understand or only somewhat understands the differences between cleaning, sanitizing, and disinfecting. At GroupL Services, we understand the importance of cleaning for appearance as well as for health. 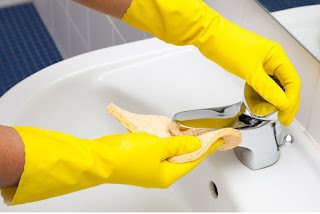 Our operatives are trained regularly on cleaning techniques and chemicals appropriate for washroom deep cleaning. If you are looking for a professional commercial housekeeping organization, do contact us to know more about how we can help you. Visit – www.groupl.in for details. Last month's terrible fire that ripped through two upscale restaurants in Mumbai’s Kamala Mills has come as a shocking wake up call. Fourteen people lost their lives. Most were young people in their twenties and thirties whose bodies were found piled up in the toilet, where they retreated hoping to escape the fire. This could have been any of us, who visit restaurants, bars, clubs to enjoy a night out!! To prevent such incidents repeating themselves, we have compiled a few useful fire safety tips to keep in mind when enjoying yourselves at a public place. Know your exits. Wherever you are, you must take a moment to mentally note where the different exits are. These signs are usually lit up and easy to find. Most of the people who died in the Kamala Mills fire tragedy had trapped themselves in an un-ventilated bathroom with no escape and they suffocation to death. Be aware of location of fire extinguisher and / or water hose. Observe as if your life depends on it. It does. Our fire safety norms are followed rarely in public places. Therefore, avoid shows where the performers use fire as a prop. Heat and therefore smoke rises, staying low, as low as you can get, helps. If there is smoke in the room it is advisable to crawl on your belly. Almost all deaths from fire arise from suffocation caused by smoke and not from the actual fire. If you are trapped in a room with no exit the best thing you can do is stay low to the ground, breathe through a cloth or clothing over your mouth and nose, and make some kind of a signal to the outside (example hanging any garment, even a tablecloth out of a window). If windows are locked, break them and try to signal for help. We urge you to take a few minutes to be aware of your surroundings and stay safe! 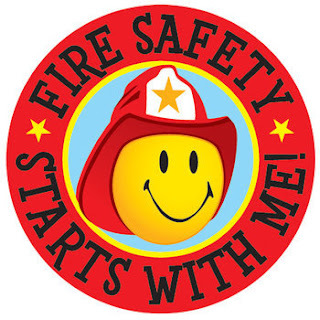 At GroupL Services, we provide fire safety training at our clients’ sites. Please email us on first-impressions@groupl.in to schedule a fire safety training. During this holiday season, our thoughts turn gratefully to friends and colleagues who have contributed to our success. Thank you and best wishes for a fabulous 2018! In India, human health and safety problems caused by air pollution are becoming increasingly serious. According to ICMR and PHFI study, air pollution led to over 2,750 cases of deaths or severe illnesses per lakh people in 2016. Leading causes of illness were non-communicable diseases like cardiovascular disease and respiratory infections. Over the past month, North India has been covered by thick smog. 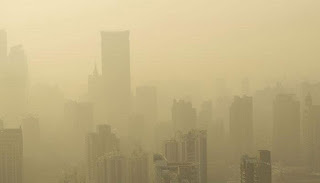 There are several factors that contribute to the spike in outdoor air pollution at this time of the year. The severely high level of outdoor air pollution combines with indoor air pollution creating a modern work hazard that deserves attention. Employees spend an average of 8 hours a day at work. Poor quality of air affects workers, causing various symptoms including allergic reactions, physical and mental fatigue, headaches, eye and throat irritation. This in turn reduces productivity and increases absenteeism at work. A recent Lancet study has said that indoor air pollution caused 1.24 lakh premature deaths in India in 2015. Indoor air pollution is generated by poor ventilation. The use of office equipment and machines which emit pollutants like carbon monoxide that are harmful. Cleaning products using pesticides and harmful chemicals. Dust from construction. Mould and bacteria in office furnishings like blinds and carpets, ceiling panels etc. 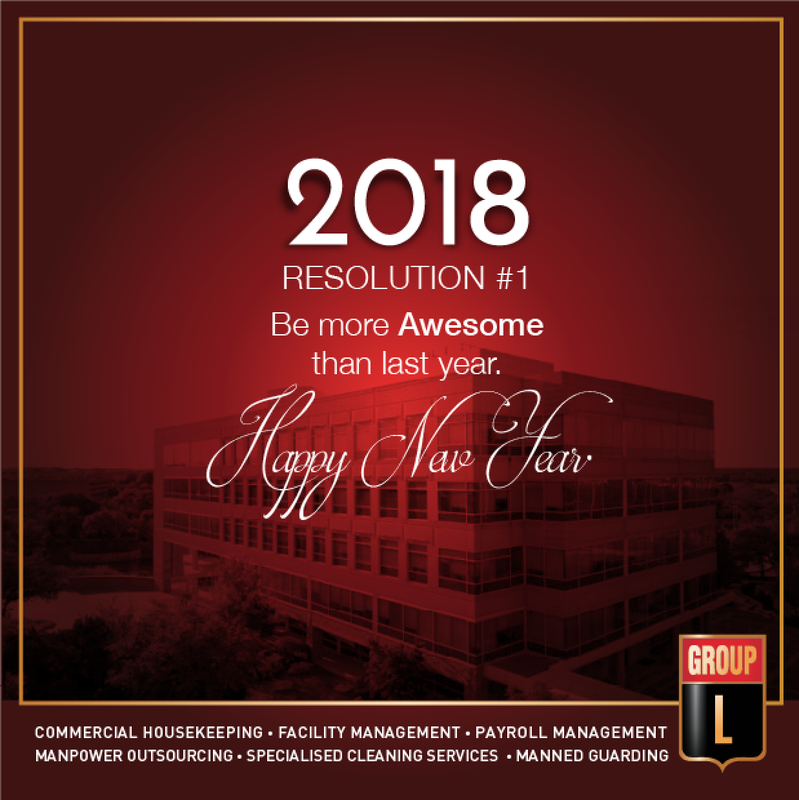 By using a professional, well trained housekeeping and building management service provider such as GroupL Services you can combat the effects of air pollution on your employees. We can check your HVAC's and ensure they are running optimally and there is proper air circulation. Your office will be cleaned daily to remove dust, dirt, grime and prevent build up of mould and bacteria. Our team is trained to use environmentally friendly cleaning chemicals in the most efficient quantities. We use vacuums with HEPA type/media filters, which can filter the air more effectively. 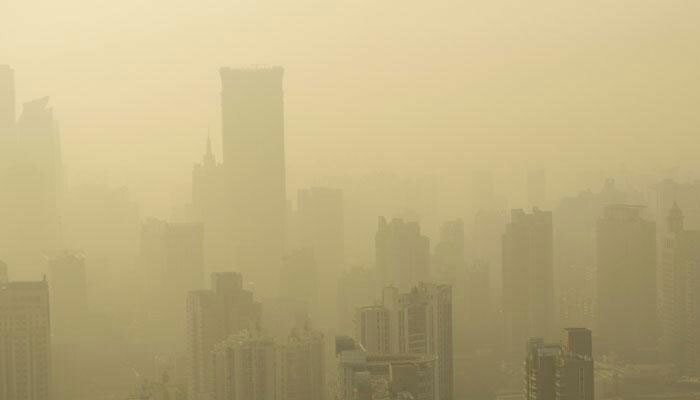 Call GroupL Services today to discuss what best we can do to reduce air pollution at your office. 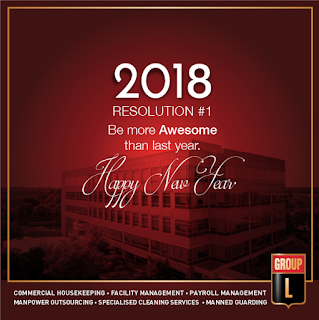 You can reach us on +91 9717719303 or visit our website - www.groupl.in.